Great American Cookies bakes all of their cookies & signature Cookie Cakes fresh in their stores every day. They want to Share the Fun of Cookies with you for your Birthday! They even have a Birthday Cake Cookie! 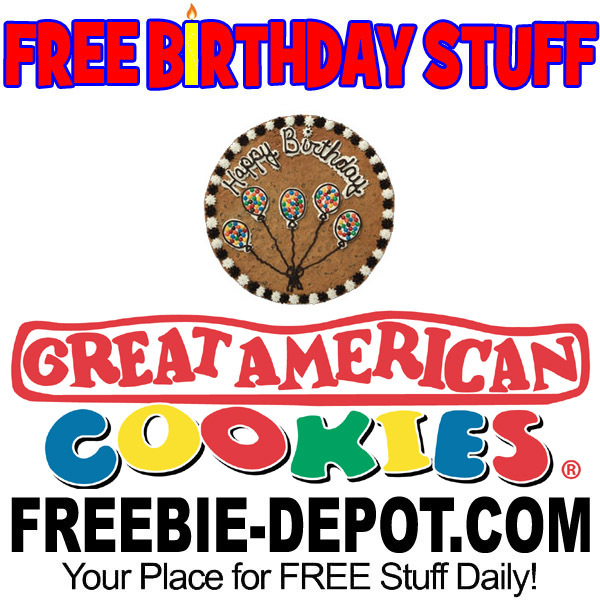 Join the Great American Cookie fan club called CookiE-Mail so that you can get a FREE Cookie Cake Slice for your Birthday with the purchase of a Soda. PLUS – Download their mobile app and get $5.00 OFF your next purchase just for signing up!